As USA Today reported earlier, The demise of the Tea Party has been greatly exaggerated. 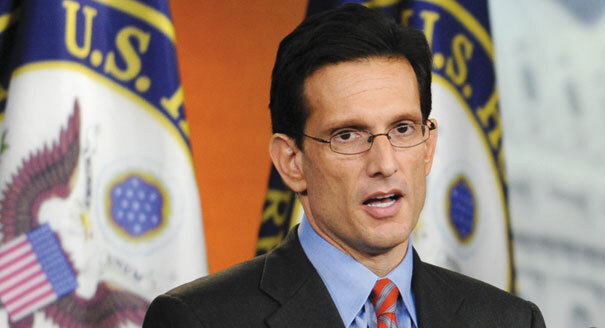 Cantor, 51, was first elected to Congress in 2001 and became the majority leader in 2011. He is the only Jewish Republican in Congress (House or Senate). Considered by many to be a rising GOP star, Cantor is a prodigious fundraiser and was widely viewed as the likeliest contender to become the next House speaker. For a long time – though apparently no longer – conservatives from around the country perceived Majority Leader Eric Cantor (R-VA-07) as being the only member of the Congressional Leadership team who at least made an effort to represent their interests. More recently, Cantor apparently angered conservative followers by loosening his relatively strong views in against immigration amnesty and attending the anti-conservative Republican Main Street Partnership conference in Ameria Island earlier this year. Furthermore, In writing about the race and Cantor’s opponent – College Professor David Brat – The Washington Post also reported last month that Cantor upset some Virginia Republican Party leaders by meddling in local party chair elections. Read more about this shocking upset at Roll Call, USA Today, and Politico.